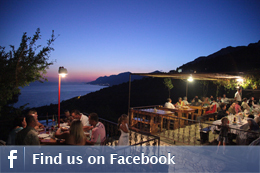 Tavern Galinac at Stipe » What is the secret of a good ‘peka’? What is the secret of a good ‘peka’? Quality meat which we get from Dalmatian Zagora. Home-grown potatoes which we grow ourselves in Imotski. Potatoes from the hilly region have a special taste. It is necessary to know that the hearth has to be hot and the fire moderate and in accordance with the amount of meat and potatoes. 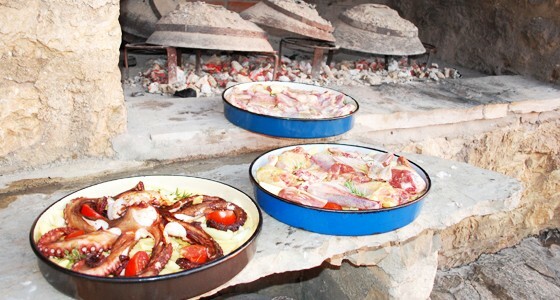 When preparing lamb and veal under the peka, we mostly use veal breast and lamb shoulder and ribs.It takes at least 90 minutes to make a good peka, and with the preparation it can take up to 120 minutes, so that is the reason why we make it our routine to ask for such orders to be placed a day earlier, so that our guests don’t wait too long. Peka can be ordered for at least 4 or more people. Peka can be with veal, lamb or mixed meat.